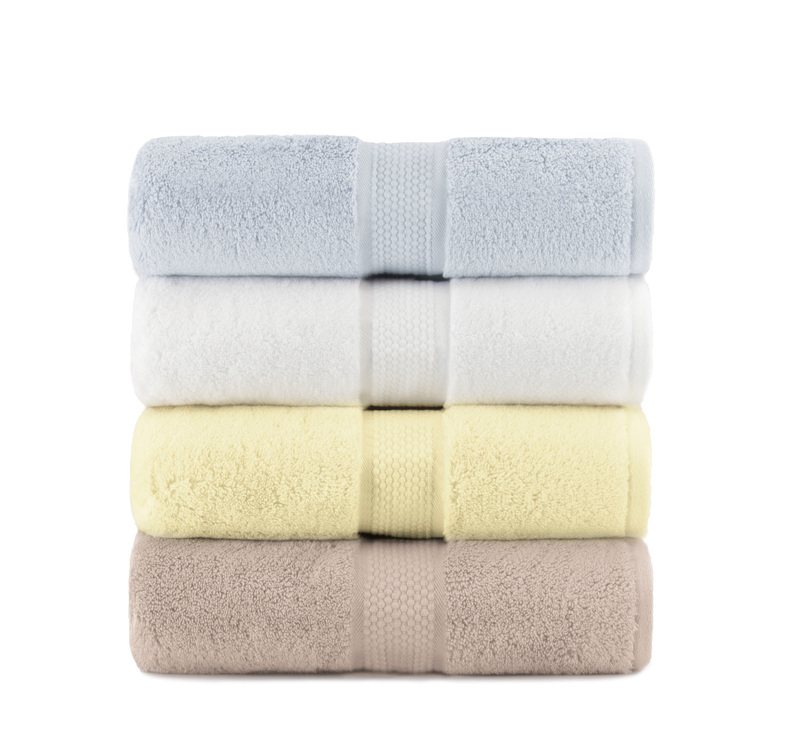 All of our towels which range in construction anywhere from single 12’s all the way through to double 22’s, have the perfect balance of tension between the weft, the warp and pile (loops of the towel). 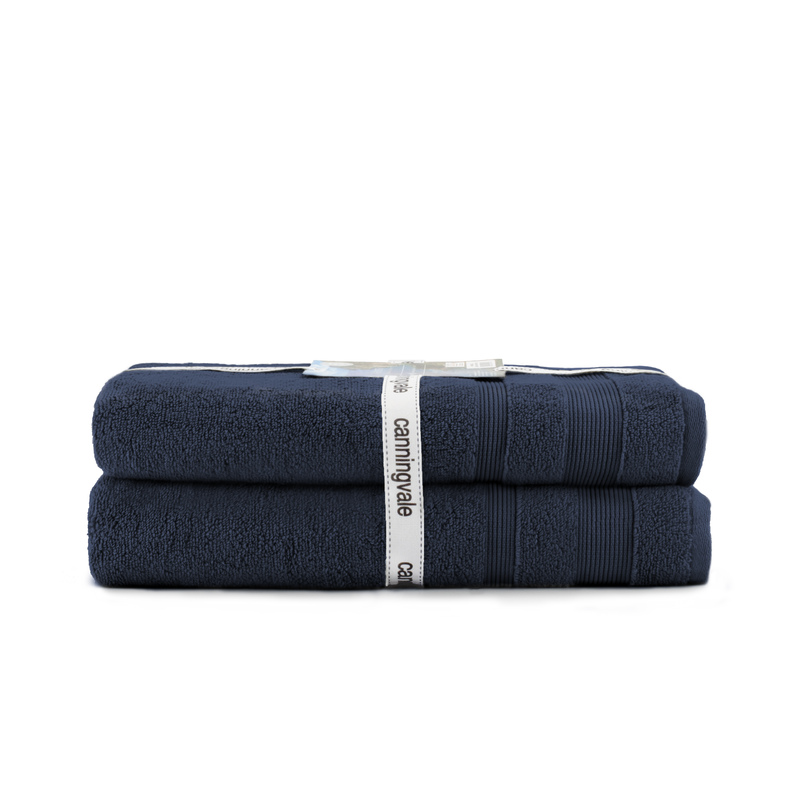 This perfect balance of tension enables the pile to be as upright as possible, so that they can capture moisture and freely transfer it to the base of the towel. Canningvale towels follow this process which enables the loops to effectively ‘dry themselves’. In a nutshell, the variations between solid, colour plain dyed towels are achieved by doing a number of different things. The most obvious is using a different dobby border like in our Amalfitana towels. However, you can also create a different look by using different pile yarns and various differences in the number of PICKS (horizontal) and ENDS (vertical) yarns or threads. To put that in plain English, the more picks and ends the heavier the towel weight per square metre will be, more commonly known as the GSM (grams per square metre). A dobby border towel is a common bath towel such as our Aria range with a header or border with a simple geometric weave and are always woven on Dobby looms…which is where the name originates from. Why are Dobby looms cool? Because they can have up to twenty eight shafts! Which enables a greater weave repeat than with a standard plain towelling weave. Different weave designs are created by using patterns of yarns in dobby borders. For example, we could use Mercerised yarns to give a more lustrous effect than the cotton yarns when dyed together and produce an enhanced feature to the dobby weave…it’ll look shiny! These beauties are woven on a Jacquard weaving loom or with a Jacquard attachment (essentially a dobby loom which looks like a transformer). This machine attachment (see pic on the right) allows each individual warp yarn to be raised independently so intricate and textured designs can be woven. The next step up from this is Weft Dyed or Yarn Dyed Jacquards. These towels are produced by using weft that is dyed before weaving begins to form a specific Jacquard pattern. 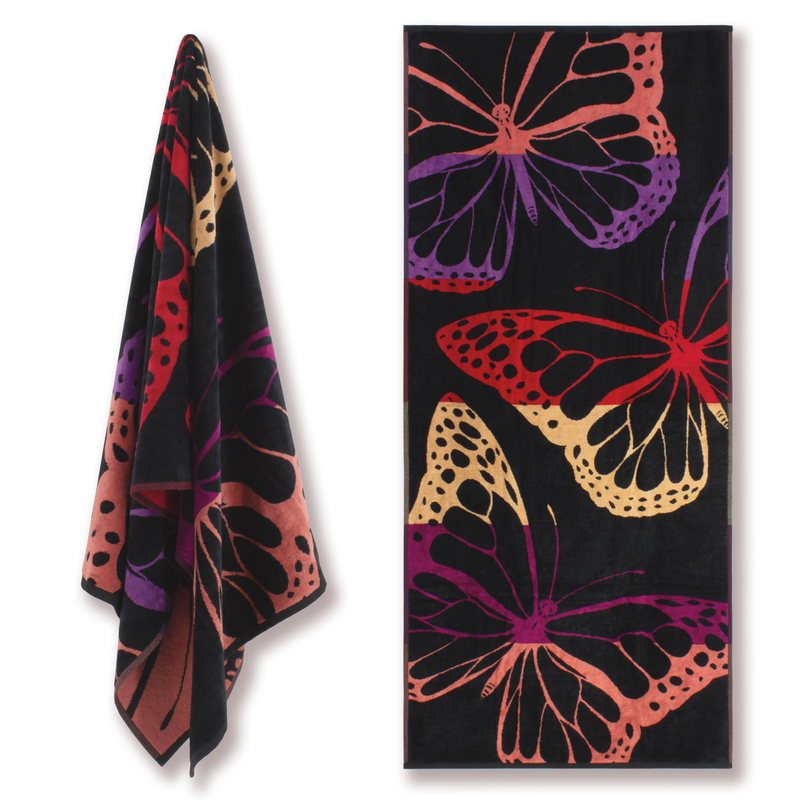 What if you would like even more colours in your Jacquard towel? Well, there is a way to achieve a multi-coloured effect. Essentially, multi-coloured weaves and textured designs of varying art work can be woven as Jacquard borders or full body coloured Jacquards with a coloured weft ground and pile yarns. If you are wondering whether or not your towel is Jacquard or not? As a rule of thumb, 99% of all complicated and intricate border designs are woven with Jacquard looms such as our butterfly beach towel. Don’t get Jacquards confused with embroidery, that’s done after the towel is finished.